The following Paperblanks designs are fresh from development and have only just been released. Be one of the first to own these new designs. Jase's Books is the leading supplier of Paperblanks in Australia - you will always see it here first! Paperblanks Klimt’s 100th Anniversary - Portrait of Adele Ultra (NEW). Paperblanks Fire Flowers Ultra LINED (NEW). Paperblanks Fire Flowers PencilCase (NEW). Paperblanks Fire Flowers Mini (NEW). 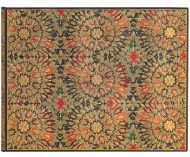 Paperblanks Varanasi Silks - Ferozi Midi (NEW). Paperblanks Varanasi Silks - Gulabi Midi LINED (NEW). Paperblanks Rembrandt’s 350th Anniversary Midi (NEW). Paperblanks White Flint Grande UNLINED (NEW). Paperblanks White Flint Mini (NEW). Paperblanks Bronte Sisters Special Edition Ultra UNLINED (NEW). Paperblanks Fire Flowers Guest Book UNLINED (NEW). Paperblanks Varanasi Silks - Sunahara Midi LINED (NEW).